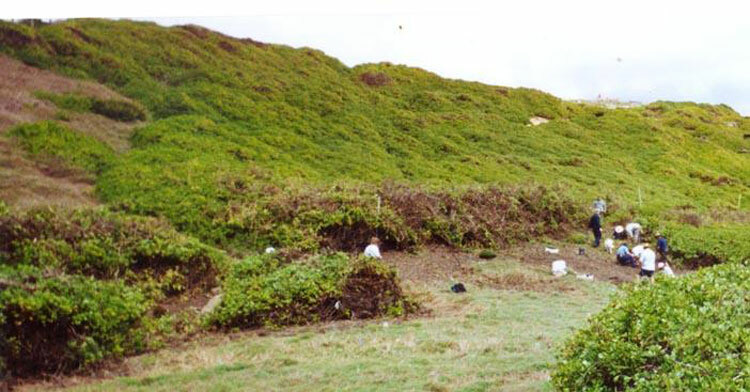 The Long Reef headland was covered with the weed, Bitou bush – a native of South America. 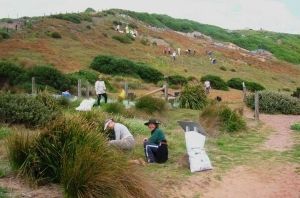 Almost one hector in area was restored by removing the Bitou and replanted with native Themeda Australis – Kangaroo grass, using seeds from the site as the Themeda found around Long Reef is genetically different to the Themeda at Narrabeen. 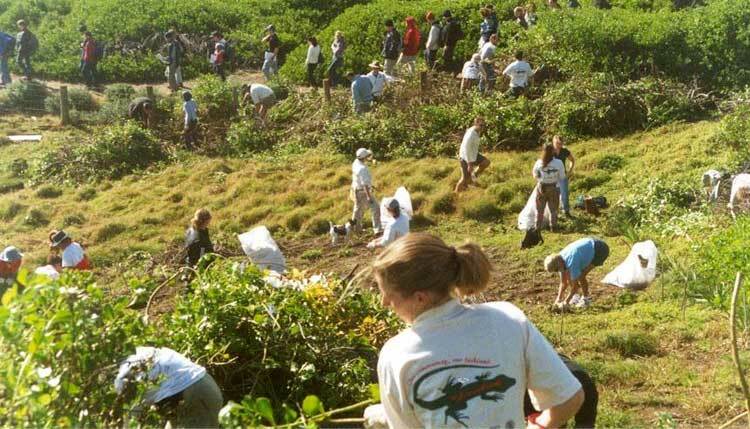 Local community volunteers and visiting Conservation Volunteers of Australia gave thousands of hours of their own personal time hand clearing Bitou and planting Themeda. The Long Reef headland was covered with the weed, Bitou bush – a native of South America. Almost one hector in area was restored by removing the Bitou and replanted with native Themeda Australis – Kangaroo grass, using seeds from the site as the Themeda found around Long Reef is genetically different to the Themeda at Narrabeen. 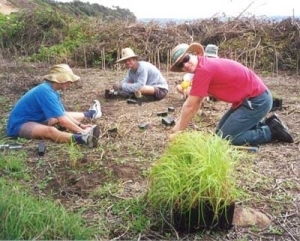 Local community volunteers and visiting Conservation Volunteers of Australia gave thousands of hours of their own personal time hand clearing Bitou and planting Themeda. 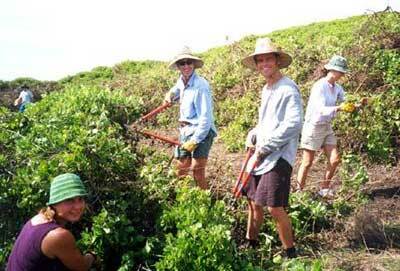 The project was funded by a $64K Greenlink Project, Commonwealth Government National Heritage Trust grant. Reefcare volunteers continued with the project clearing Bitou, weeding, planting and maintaining the site up until October 2008. 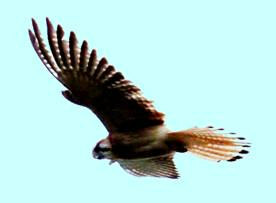 A local Kestrel looks down over its newly restored habitat: “You did a great job Reefcare and local community Volunteers”.